We’ve all heard it before, SEO (search engine optimization) is essential for your business. If you optimize your website according to local SEO best practices, you’re more likely to rank well in Google. Better rankings will drive more traffic to your website and subsequently through the front doors of your business. Local SEO is a strategic way to market your business online. Local search engine optimization helps businesses promote products and services to local area customers when they search for them. 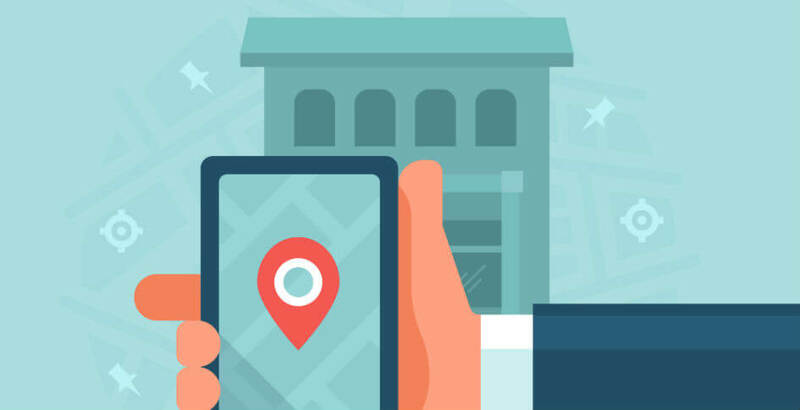 Every day, millions of potential customers conduct searches to find nearby businesses whose services they need. When it comes to local search engine optimization you must narrow your focus. The core of a thriving local business SEO campaign is optimizing your online presence so that local customers can easily find you. The advantage local search engine optimization holds over “regular” SEO is that it’s easier to rank in a certain city or region if you have a physical address in that location. Understanding the importance of local SEO for your business can ultimately help you generate more leads from potential clients in your locality. Contact MARION today to learn how our Houston SEO company can help you achieve the growth you’re looking for. Now that you understand the benefits, let’s take an in-depth look at a few Local SEO best practices so that you can figure out how to do local SEO for your business properly. Local SEO marketing extends even into the offline realm. Traditional marketing can be a great way to boost your online presence. For example, let’s say you send direct mail to several neighborhoods promoting your business. At the bottom of your promotion, you append your social media (i.e., Facebook, Instagram, Snapchat, etc.). As a result of your direct mail campaign, your social media following may increase substantially. If you add your website URL to the promotion you may see a boost in website traffic. Applying local SEO best practices to billboards, radio ads, and TV commercials can also enhance relevant website traffic. Posting your website and social media handles in your traditional marketing campaigns can have a very real effect on your local SEO due to the potential online traffic that may result. As with all SEO, good content is still king. Creating high-quality articles will drive traffic and encourage your followers to share your posts. You can improve your local rankings by writing numerous articles with targeted local keywords. For example, your content marketing efforts can include an article about “6 strategies for marketing your small business in Houston, TX.” Such an article is perfect for targeting the location-specific keywords you need to rank well for your local area. Adding service and location pages allows you to add additional, targeted content for search engines to crawl and rank. For example, let’s say you run a bakery in Houston. You can create a page on your website titled “Best bakery in Houston!” You can then add some content about the community that includes pictures of local projects and so on. Don’t forget to add a call to action to the bottom of the page! NAP stands for “Name, Address, and Phone Number” and you’ll want to have this information in the footer of every page on your website. This helps search engines tie each page back to your location and is another excellent way to boost your SEO for local visibility. This will also help potential customers easily find your contact information and is more evidence of the importance of local SEO. There’s a good chance that your website, along with your NAP, is listed on dozens, if not hundreds, of sites online. These sites include directories, review sites, social media platforms and so on. Therefore, you should hunt for inconsistencies and inaccuracies regarding your business NAP. Even the smallest inconsistency can cause issues. For example, let’s say a listing claims you’re located at “1234 Westheimer Rd. Houston, TX” on five directory sites. However, let’s say another five sites lists your address as “1234 Westheimer Road, Houston, TX.” Even this small and seemingly meaningless inconsistency (“Rd.” vs. “Road”) can be detrimental to your local search engine optimization. There are hundreds of directories that list business information all over the internet. To effectively manage this, MARION became Yext Certified Partners. The partnership with Yext allows us to efficiently and effectively ensure all business citations across the internet have the correct business information. In today’s digital world, your online reputation is more important than ever before. Reviews help to spread your reputation. Thus, you should incorporate a system into your online marketing process that allows you to gather as many reviews as you can. Do you have a feedback system that actively gathers reviews from your customers? Does that system generate a steady flow of online reviews? Do you leverage the hard work you put in every day to turn your customers into raving fans so that they loyally refer your business to their friends and family? Do you promote your great reputation in your marketing efforts? Typically speaking, the more reviews you receive amongst various sources (social media, review sites, etc.) the more significant the impact on your local SEO. Out of all the search engines in the world today, most of your organic traffic will come from Google. Google My Business allows business owners to list their companies on Google. It’s crucial that you completely fill out your profile and add high-quality photos. To amplify your local SEO marketing, every listing and citation that you have online should match your “Google My Business” listing exactly. Your SEO always receives a boost when people share your links around the internet. When people share your content, they create backlinks that send traffic back to your site. The more quality backlinks you have, the more likely you’ll rank higher in Google. You should make it as easy as possible for your visitors to share your content. Adding social media icons that easily allow a reader to share your content with a click of a button is one of the best link-building strategies to make this happen. Double check that your NAP data is consistent across all of your social media profiles to avoid any inconsistencies. Local SEO marketing takes time, patience, and work. Local business SEO doesn’t succeed overnight. Don’t be surprised if it takes six months or more to rank well in the search engine results. If you stick with it and don’t give up, the benefit to your business can be monumental. SEO for local visibility can generate more leads, increase sales and grow your business exponentially. Thus, local business SEO is a culmination of many factors that help you drive customers to your business in a variety of ways. If you approach your local SEO strategy properly, you’ll see a significant improvement in revenue. For a Local SEO quote from a trusted marketing firm in Houston, please contact MARION today!